Existing Customers: Save 30% On Your First Nature's Recipe Auto-Ship Order. New Customers: Save 30% On Your First Nature's Recipe Auto-Ship Order. Nature’s Recipe believes that every ingredient counts. The brand uses real meats, wholesome grains, fresh fruits, fresh vegetables, and other nutrient-rich ingredients to create nutritious balanced meals. All formulas manufactured by this company are AAFCO approved and provide complete and balanced nutrition. Most recipes are manufactured in the United States. 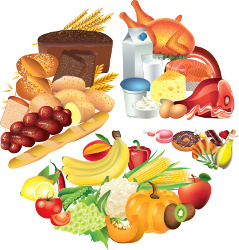 Many of the ingredients used in the foods are sourced from suppliers located in the United States. What Type of Pet Food Does Nature’s Recipe Produce? Life Stage Recipes – Designed specifically for each life stage (puppy/kitten, adult, senior). Premium Recipes – Recipes which include higher quality ingredients. Grain Free Recipes – Recipes which do not contain grains. These are also appropriate for dogs and cats that cannot tolerate gluten. Pure Essentials – Limited ingredient diets made with higher quality ingredients. Culinary Favorites – Premium line of cat food recipes. Special Needs – Diets designed for specific dietary requirements. Wholesome treats – Full line of treats for dogs. According to company representatives, most products are manufactured in the United States using ingredients predominately sourced from suppliers operating in the United States. However, we have not been given any specific information regarding manufacturing processes or ingredient sources. Where Can I Buy Nature’s Recipe Pet Food? Nature’s Recipe is sold by many leading international pet retailers. These retailers include Petco, PetSmart, Pet Supplies Plus, and thousands of other pet specialty stores. Nature’s Recipe is also available online from many reputable retailers. Our recommended retailers for this brand are Wag.com and PetFlow.com. These two online retailers offer a wide-selection of Nature’s Recipe pet food products. How Can I Save Money On Nature’s Recipe Pet Food? Nature’s Recipe is a relatively expensive brand of pet food. Depending on the formula chosen, Nature’s Recipe can cost more than $50 dollars for the largest 30 pound bags of dry food. Retailers and the Nature’s Recipe brand are always looking for ways to help price-conscious customers. This is why Nature’s Recipe and its retail partners offer coupons on a regular basis. You can browse our up-to-date list of Nature’s Recipe coupons for instant savings on your next purchase. You can even combine brand coupons with retail coupons to save a significant amount of money on each purchase. 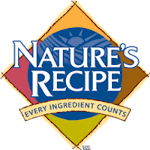 Online Nature’s Recipe coupons typically require a simple promo code to activate the discount. For printable coupons, follow the instructions provided in the highlighted area. These coupons can be used in-store, read the information on the coupon for the most actuate information regarding the promotion. Nature’s Recipe was established more than 30 years ago. The brand is owned by Big Heart Pet Brands. Prior to its acquisition by J. M. Smucker Company in 2015, Big Heart Pet Brands was owned by Del Monte Foods. Big Heart Pet Brands is one of the largest pet food companies in the world. They own many main-stream pet food brands. Nature's Recipe offers a wide selection of dog and cat food products. The brand offers dry food, wet food, and treats for dogs and cats. The brand is owned by Big Heat Pet Brands which owns more than fifteen different pet food brands. Nature's Recipe dog food and cat food products are sold by online retailers and big-box pet stores such as Petco and Petsmart.